In October 2014, Stone Farm’s reclaimed thin brick veneer was featured on an HGTV episode of House Hunters Renovation. The home featured, was in need of a kitchen and mudroom renovation. Working in conjunction with our good friend and Interior Designer, Elizabeth Benedict, these rooms were brought back to life with a modern feel and a splash of color! 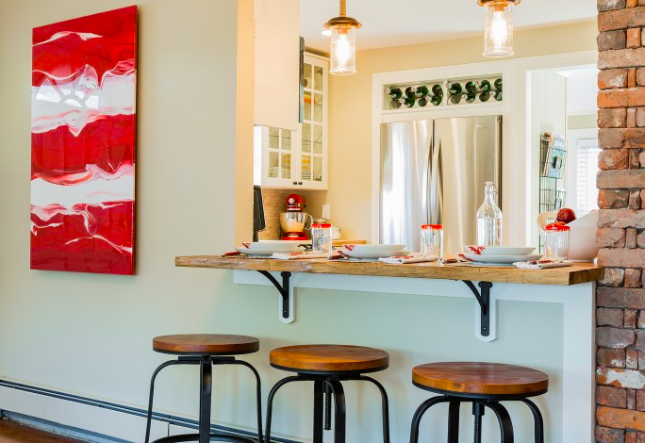 Thanks to her keen and talented design eye, the needs of this couple were not only met, but surpassed with what turned out to be a stunning renovation! Our reclaimed thin brick was literally at the center of the action, and was used as central design element covering an internal chimney that benefitted greatly from this facelift. The end result is that it has now become a unique focal point that adds a dash of character and old world charm to this eclectic kitchen. We love the touches of red used in this hip renovation along with the attention to detail of many of the design elements….right down to the basketweave pattern created with the use of our brick tile. What a fresh and stunning finished product! 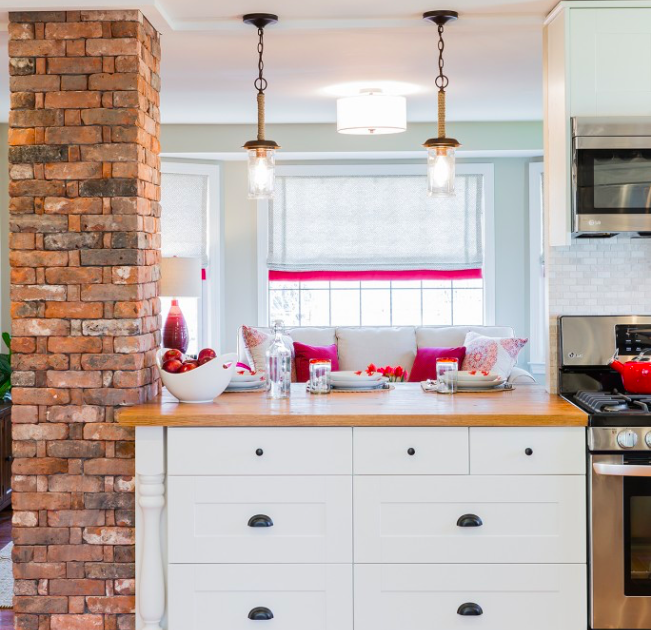 We hope this reclaimed thin brick project inspires you to transform a space inside your home. Stone Farm would love to hear from you and talk about the endless possibilities of using this versatile interior product in your residential or commercial space.